Works as Senior CBT Therapist at First Psychology Centre, Dundee. 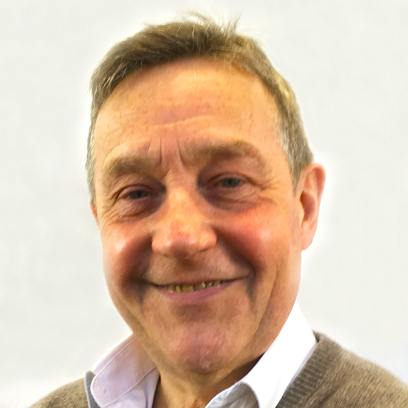 Henry Stewart is an experienced senior CBT therapist who works with individual adults and couples. He works with a wide range of issues and problems including: depression / low mood / post-natal depression / bipolar disorders; anger / aggression; anxiety (generalised anxiety disorder, health anxiety, social anxiety); insomnia; addiction and alcohol issues; assertiveness; bereavement / grief; borderline personality disorder (BPD); bullying; life transitions; low self-esteem; mindfulness; panic; personality disorders; phobias; trauma / post-traumatic stress disorder (PTSD); relationship issues; risk taking; self-harm; stress; thought process issues (worry and rumination, perfectionism, need for control, intrusive thoughts); and workaholism. He is particularly experienced in working with anxiety, depression, stress, trauma, adjustment problems, general lifestyle issues, relationship problems, habitual alcohol problems, and workplace issues such as bullying. Henry works in a holistic, collaborative and empathetic way and uses a number of different approaches in his therapeutic work including: Counselling, Psychotherapy, Person-Centred Therapy, Cognitive-Behaviour Therapy and Mindfulness-Based Therapy. He tailors his approach to suit the individual needs and preferences of each individual. In addition, he draws extensively on a wide range of psychotherapy experiences that he has built up over a lifetime of working within the field of 'talking therapies'. Henry has extensive experience of working as a psychological therapist in the private sector as well as within the NHS. He has a Post-graduate Diploma in Mindfulness Studies (Aberdeen University) and an MSc degree in Counselling and Health (Abertay University). He has also completed a COSCA accredited counselling course, a training course in Cognitive Behavioural Psychotherapy and additonal training in a number of areas including: Addictions and Substance Misuse, Mindfulness Approaches, Schema Therapy, and Transactional Analysis. In addition, he is a qualified Mental Health Nurse. Henry is an accredited member of the British Association for Behavioural and Cognitive Psychotherapies (BABCP) and a Registered Mental Health Nurse with the Nursing and Midwifery Council (NMC). He is also an accredited Cognitive Behavioural Therapist with the Australian Association for Cognitive and Behaviour Therapy (AACBT), a Credentialled Mental Health Nurse with the Australian College of Mental Health Nurses (ACMHN) and is registered with the Australian Health Practitioner Regulation Agency (AHPRA). Henry charges £80 per session for self-funded clients. He also works with clients referred via their employer/organisation – for further details, please visit First Psychology Assistance.